Brother Jesse Blog: Minister Farrakhan Interview with Tripoli Post: " "He raised his fist because Michael was ready to fight, to regain his own position." Minister Farrakhan Interview with Tripoli Post: " "He raised his fist because Michael was ready to fight, to regain his own position." Photo: Honorable Minister Louis Farrakhan during his interview with The Tripoli Post in Tripoli, Libya, 4 July 2009. With tears in his eyes the Honorable Minister Louis Farrakhan, the leader of the Nation of Islam in the United States of America, said Michael Jackson was his brother whom he knew well as a fighter who wanted to regain his own position from what he described as a wicked propaganda campaign leveled against him for so long. 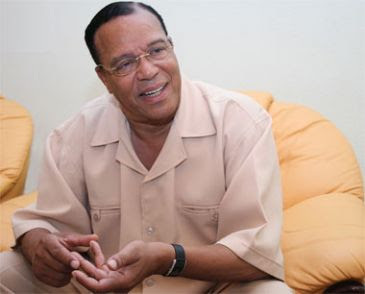 At the end of an exclusive interview he gave to the weekly The Tripoli Post on Saturday in Tripoli, Libya, Mr. Farrakhan tearfully said "that is my brother. I knew him well. I love him much. He gave the world much and he’s gone too soon." However, Mr. Farrakhan said Michael Jackson was never left alone by those who feared he would become Muslim and turn millions toward Islam. Farrakhan said Michael Jackson's planned English tour was to be his last. "He went to England and said 'This is It'." The tour was to be Michael's last battle which, according to Minister Farrakhan, he was to win it and then he was not to do tours anymore. "I want you to watch his militant stand when he said 'This Is It'," Farrakhan said.